Periodontal assessment and saliva testing are physical assessments. Spend an hour and a half with one of our Periotherapists to see where your Oral Health may need help. This visit will include: Oral parasite and bacteria saliva test, digital Xrays (we have a radiation protocol to help maximize cellular protection), Full mouth probing and charting for periodontal pockets, Ozone Irrigation, Intra and Extra Oral Exam, Velscope (intra oral cancer screening), the Canary test for tooth decay, Intra oral photos and tailored home care instructions based on your mouth and your needs for optimal oral health. See Your Dentist Regularly: Your Health – And Your Life – May Depend On It! Yes, really! 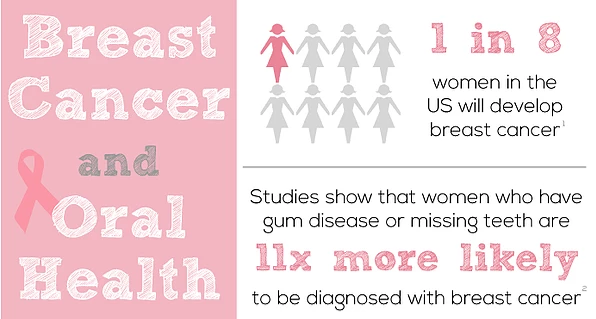 What does periodontal disease have to do with breast cancer? Research is now revealing that your life may depend on your good oral health. The scientific community has now realized a direct link between periodontal disease and nearly all the organs in your body. 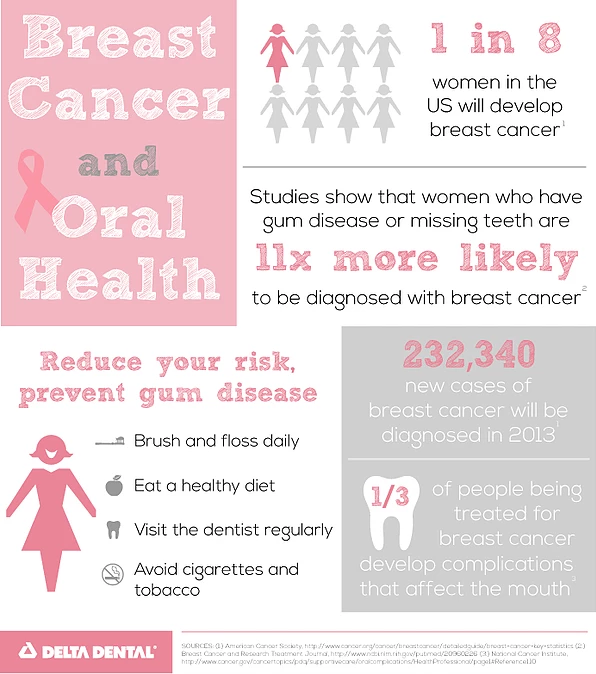 In October 2010, breast cancer made it on to the list of cancers linked to periodontal disease. Bleeding, unhealthy gums allow dangerous periodontal bacteria to slip through the broken gum tissue and invade the bloodstream, producing inflammation and disease in other parts of the body. 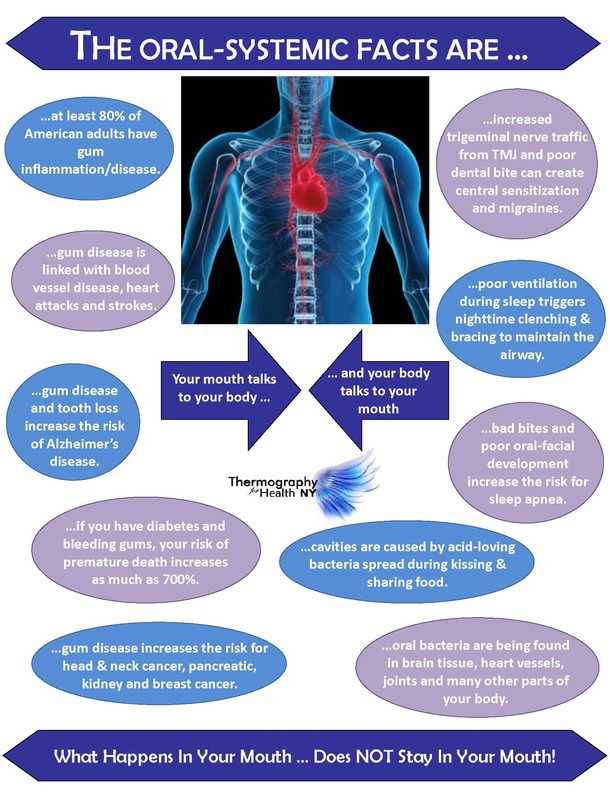 Breast cancer, as well as diabetes, heart attack, stroke, pancreatic cancer, prostate cancer, Alzheimer’s disease and dementia, pregnancy complications, Hodgkin’s Lymphoma, Multiple Myeloma, colon cancer and lung and kidney disease have all been linked to periodontal bacteria. Chronic inflammation causes chronic disease! The severity and length of time of your periodontal disease greatly raises your risk of breast cancer. A recent study published in the British medical journal, Open, suggests that poor oral hygiene can increase the risk of early cancer death by as much as 80%. Inflammation in the body is associated with nearly all types of cancers, and periodontal disease is an inflammatory disease by nature. Another truly alarming fact is that periodontal disease affects 8 out of 10 adults and it is contagious, easily transmitted from one person to another. An excellent diagnostic tool is the oral parasite and bacteria test offered at Thermography For Health NY. It’s quick, painless and will reveal in just a few minutes whether or not pathogenic periodontal bacteria are present in your mouth and in what volume. Taking a plaque sample and looking under a microscope and salivary analysis for periodontal pathogens and your genetics, is critical to evaluating the patient’s status prior to treatment, and to monitor ongoing systemic and local treatment. Often, a patient’s mouth might look healthy with traditional dental analysis, while a microscope slide reveals an invasion of bacteria, white blood cells, amoeba, and other opportunistic organisms. An alarming number of American adults have some level of gum disease, and many don’t even suspect that they have it! 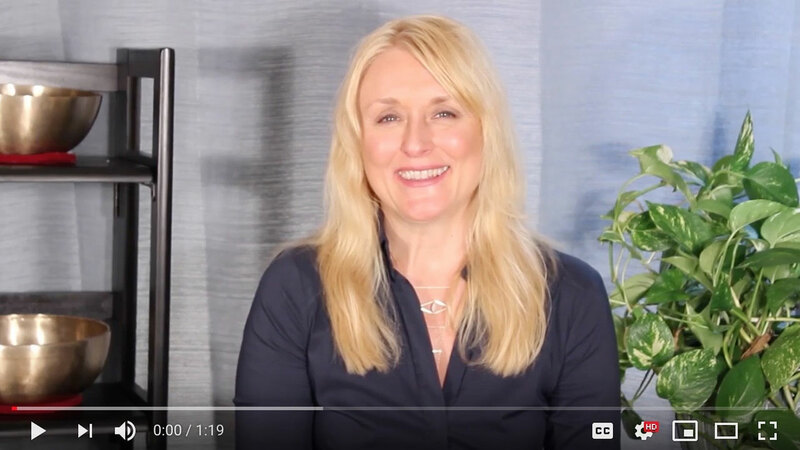 If you have been experiencing various symptoms and want to learn more about how your oral health is related to inflammation (and more! 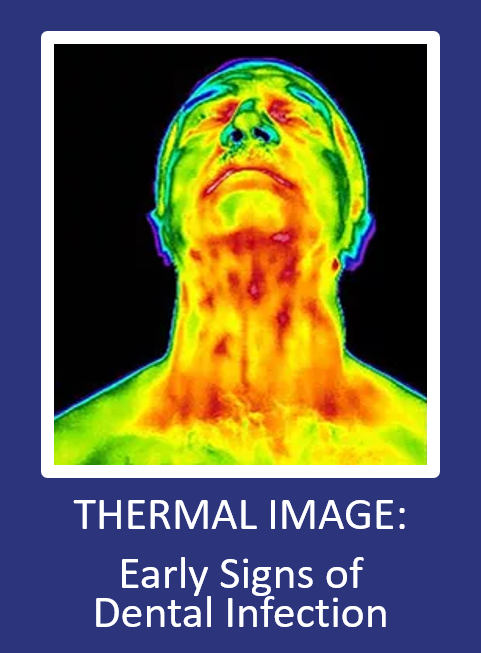 ), schedule an appointment with Thermography for Health NY today! These are the spirochetes that infect the gums and bone of the oral cavity. These spirochetes can further invade the body through the circulatory system. This is referred to as the Oral Systemic Link, in which periodontal (gum) disease is linked to alzhiemers, heart disease, lung disease, diabetes, arthritis, preterm births, certain types of cancer including the breast and prostate, and more. Schedule Your Complimentary Oral Parasite and Bacteria Test Today! Learn more about the complimentary test below.